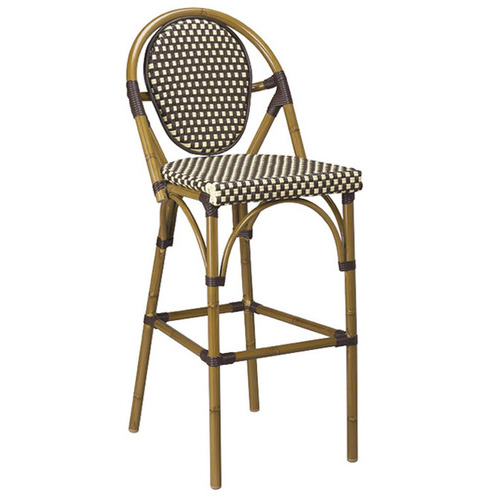 FEATURES - All-weather aluminum frame powder coated to imitate bamboo. Woven nylon seat and back. Stacking.